Born in Illinois in 1865, William Edgar Borah moved to Idaho in 1890 to practice law. By 1892 he was involved in Idaho state politics, was a part-time secretary for Governor William McConnell and, in 1895, married the governor's daughter, Mary McConnell. In 1907 Borah was elected to the U.S. Senate where he served until his death in 1940. Known for his public speaking skills and his independent and often controversial positions on political issues, he was a strong advocate for peace, disarmament and the major proponent for the outlawry of war. In 1919 he worked closely with Salmon Levinson on a campaign to outlaw war, proposing that international peace be established by declaring war illegal and creating a judicial substitute for war to resolve disputes and administer legal sanctions. 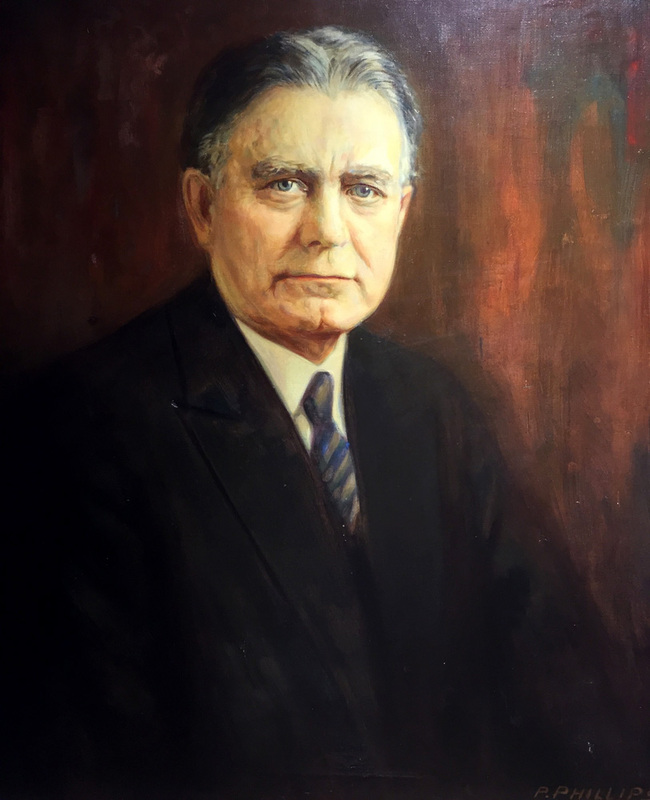 In 1923 he introduced Senate Resolution 441 to outlaw war and create a “judicial substitute for war,” a bill that he reintroduced again in 1926 and 1927 although it never passed. Senator Borah was instrumental in the passage of the Pact of Paris Treaty (also known as the Kellogg-Briand Peace Pact) which outlawed war as an instrument of national policy which the Senate ratified in 1928 by an 85-1 vote. The agreement between the United States, France, Great Britain, Japan and Germany was “to condemn war as an instrument of national policy” in their relations with each other. Unfortunately, the codification of international law and the formation of an international judicial system that was a vital component of the plan to outlaw war, was not included in the Pact, thus rendering it an idealistic but ultimately ineffective agreement. Senator Borah was, however, undaunted and continued to advocate for the “outlawry of war” and non-military solutions for peace throughout the rest of his political career.